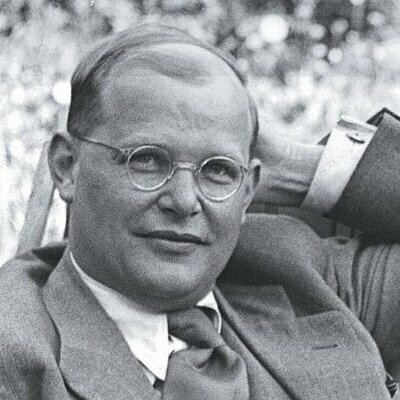 The meditation for the Treasury today is by Dietrich Bonhoeffer. In it he writes, "It is not we who build. Christ builds the church. No man builds the church but Christ alone. Whoever is minded to build the church is surely well on the way to destroying it; for he will build a temple to idols without wishing or knowing it. We must confess-He builds. We must proclaim-He builds. We must pray to Him-that He may build." (Treasury 840-841). The Church is the bride of Christ, the sheep who listen and hear the voice of their shepherd Jesus. The Church is the gathering of the saints, by the Holy Spirit, to hear the Gospel and receive the sacraments for the forgiveness of their sin, life, and salvation. The church has social aspects to it, and even has community aspects to it. However, if the church abandons her identity as a gathering of sinners in need of forgiveness, then the church brings an end to her purpose in this world. The church is a gathering of people in which absolute forgiveness is offered and shared. The church is where the gifts of forgiveness are given to all that are terrified that God hates them. We don't make the church into something of our own imagination, but rather we confess, proclaim, and pray all the Words that God places into our heart. May the Holy Spirit continue to be granted to us that we may be protected from those who would change the church into something of the world, and may God send us men who will do nothing but hand over the goods of the cross in order that forgiveness may abound. Peace be with you, May the devil be silenced, the world be hushed, and the Old Adam be drowned anew so that you hear only the peaceful voice of your Savior Jesus who says, "I forgive you. I love you. I claim you as My own forever," Amen.